The waist belt is completely on trend and we are seeing them all over the place. Everything from the high fashion and iconic Gucci belts to fun printed belts. Belts are a great way to put your own stylish touch on an outfit and also bring your look to the next level. 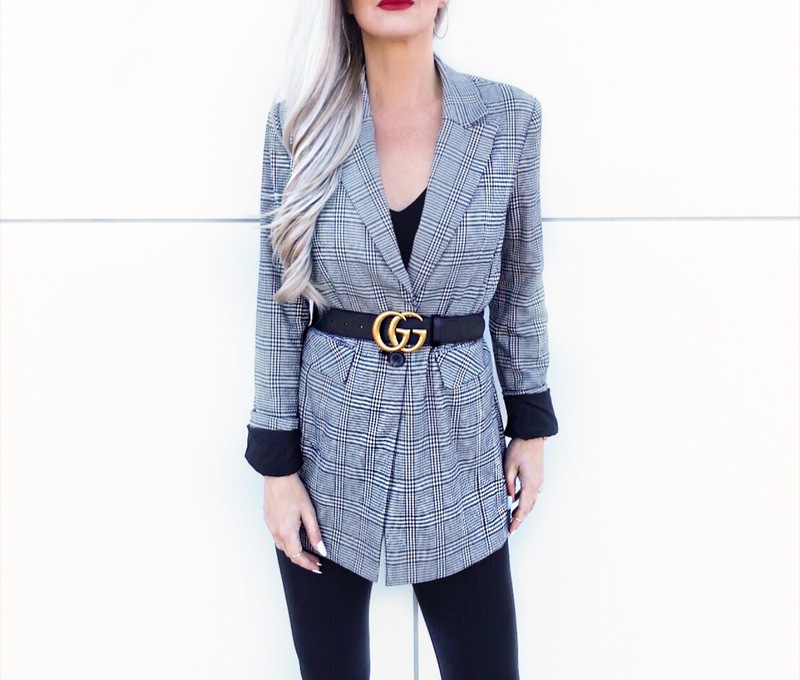 From belting blazers and dresses to tops so you can create a focus to your waist. Also because a lot of these belts are meant to be worn around your waist vs. your hips, they work great for high waisted jeans. They fit properly and you aren’t left with a ton of excess on the belt to wrap around. See a belt you love? Click on it to be taken directly to the product. As I always say, think outside of the box. Hop on Pinterest to find some style inspiration. However, if it doesn’t feel right or is completely out of your comfort zone – don’t force it, you still want to remain true to you!